Accents help "enhance" your already fabulous look. They are shorter than a regular strip lash and are to be used on the outer corners of the eyes for a cat-eyed look. The shorter length is perfect for a natural look with easy, fool-proof application. 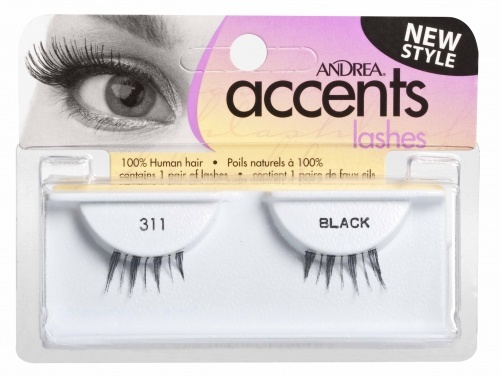 Accents 311 (61311) can be worn for every occasion from formal to casually fun nights out. Use accent lashes to add just a touch of glamour & sophistication. 1. Start with strip lash adhesive. 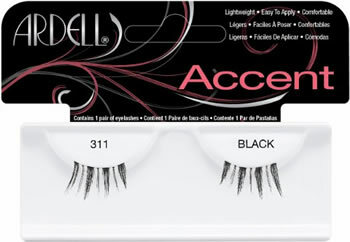 For the perfect look, apply along the rim of Ardell Lash Accents Pair Style 311, leaving glue to air dry for about 20 seconds to prevent excess adhesive on the skin of the eye. 2. After the adhesive becomes tacky, next gently align your #311 lashes direct on top of your lashline to cover your natural lashes. To achieve a non-clumpy finish, press gently. 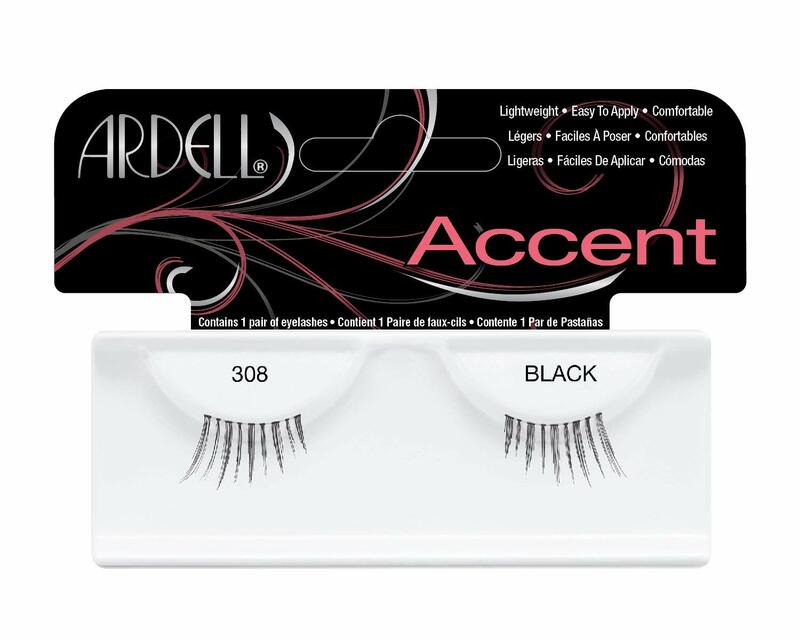 I love the Accent line of Ardell. They are reusable, easy to use no need to trim or modify them and are eaiserthen full strip lashes. 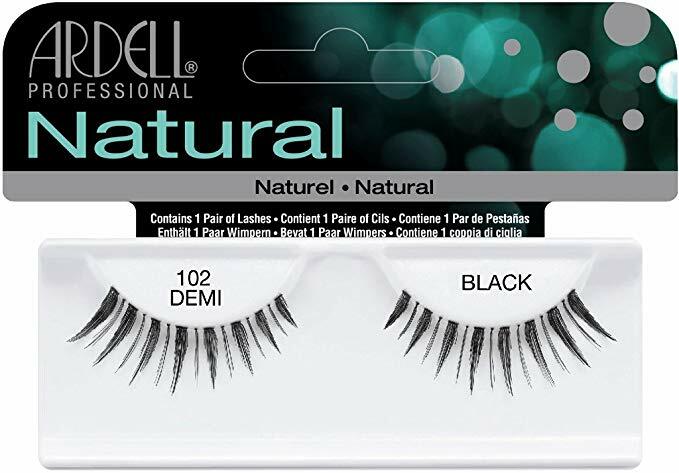 These are perfect if you want to enhance your lashes but do not want it to be too dramatic. These are good for a small but noticeable enhancement!